TICO Manufacturing is pleased to roll out a Special October Breast Cancer Awareness Edition Pro-Spotter DOT/EPA Certified terminal tractor! TICO unveiled the special edition unit at its annual company picnic on Saturday October 17th. 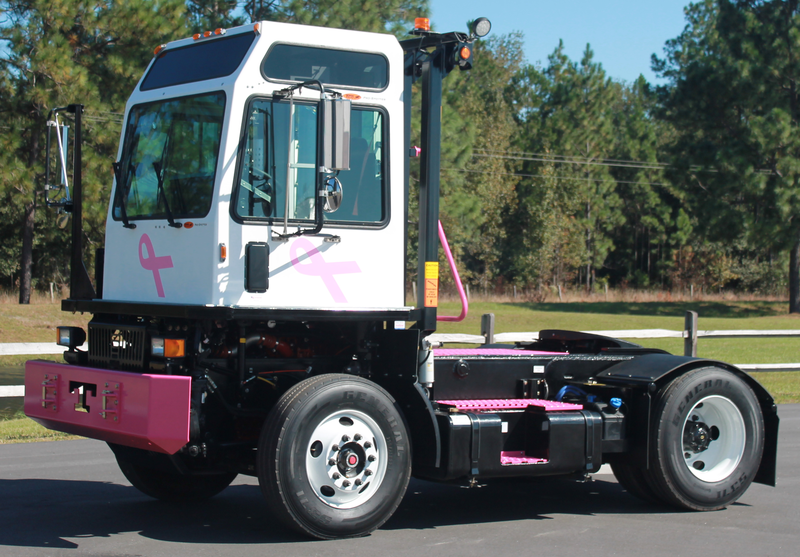 TICO is pleased to lead the charge in its industry to support awareness and the fight against breast cancer.The special edition truck is being made available to TICO’s North American distributor network for immediate sale. A portion of the proceeds from the purchase of the special edition unit will be donated to a cancer organization of the customer’s choice.